Watch this and more MIPCOM sessions in full video, here! Curious how to leverage the power of social media? Facebook’s partnerships VP may be best positioned to tell you. At MIPCOM this morning, Dan Rose, who leads global mobile partnerships, platform developer relations, business development, M&A and user operations, talked about the impact that “word-of-mouth at scale” is having on television. 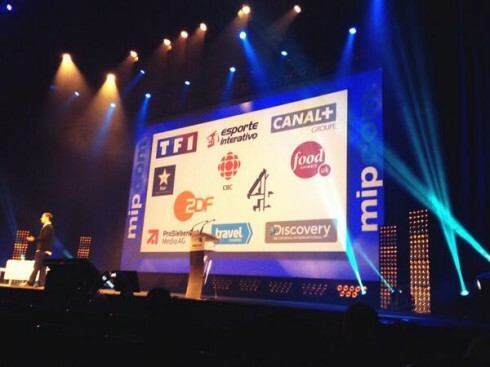 “If we’re experiencing the golden age of television, then it’s an especially high honour to kick off MIPCOM 2013. What an amazing time to be associated with the TV industry,” said Rose. His talk opened nostalgically, with anecdotes about his favourite TV shows: Mr. T’s A-Team mohawk, and his love of Diff’rent Strokes. He cited several examples in recent history: the Facebook group a fan launched to make Betty White a host on SNL, and Facebook’s partnership with CNN for Barack Obama’s inauguration (“a groundbreaking event in online television,” Rose highlighted). He attributes this change in conversational habits in part to Facebook, but also to the proliferation of smart mobile devices. Which speaks to an unintuitive truth about second-screen viewing: “Instead of drawing people away from TV, [it’s] pushing people toward TV,” Rose observed. He describes how his newsfeed exploded after Game of Thrones’s Red Wedding episode, motivating new viewers to watch the show and, more importantly, to watch it live so they could be part of the next real-time discussion. “The machine à café is online, real-time and global. It’s driving conversations about TV with greater intensity and engagement than ever before,” he said. In France alone, 18 million people use Facebook daily; 11m access it from their phones. But its impact on television is even more potent: the TV viewing audience for MTV’s last Video Music Awards was 10m people — of that 10m, a full 90% was on Facebook, generating 26.5m total interactions. To bring things around, he talked about how HBO is starting to produce Instagram-only trailers, and how Jimmy Fallon encourages fans to make funny Instagram videos and tag them #Fallon15 so he can put the best ones on his show. Ricky Gervais is also using Facebook to promote his new show Derek. In terms of tools, Rose encouraged the audience to leverage hashtags—punctuating the point with a hashtag spoof video that’s done the viral rounds—and watch for Trending Topics, coming soon to Facebook. Facebook also has new tools like its Keyword Insights API, which aggregates all posts around a given keyword. “Because people use their real identities on Facebook, and we have massive scale, Facebook is uniquely positioned” to provide such rich data, Rose said. Keyword Insights launched in limited beta last month alongside the Public Feed API, which lets you find posts about a given term in real-time. The announcement is one more step in a race between Facebook and Twitter to “own” the social conversations around television. A golden age for TV, indeed.